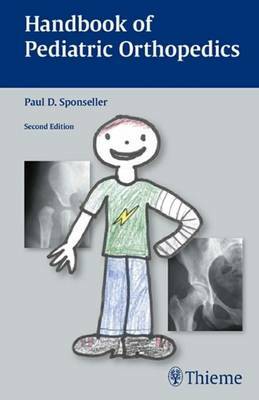 Handbook of Pediatric Orthopedics -- now in a fully updated Second Edition -- encapsulates everything an orthopedic surgeon needs to know to make rapid diagnoses and quickly plan treatment for the gamut of common and uncommon pediatric orthopedic problems. The author, a well-respected authority in the field, provides only the most pertinent information on the developmental, genetic, and neurologic etiology of the various conditions. A full chapter concentrates exclusively on core treatment guidelines and algorithms for pediatric trauma management. Each chapter presents information on basic principles, technical skills, and standards of care in an easy-to-reference list format that allows the busy practitioner quick access to key information and thus facilitates faster diagnoses. Features Compiles new data on blocks, traction, special casts, aspiration, and arthogram interpretation Includes 164 drawings, graphs, and charts illustrate important concepts Provides must-know radiographic parameters and clinical tips for key developmental disorders Reviews difficult-to-remember levels of innervation, including for the brachial plexus Numerous charts conveniently list medications and dosages based on weight, route, and frequency Helpful graphs track growth predictions for each region of the skeleton Orthopedic surgeons, residents, or fellows will refer to this highly practical pocket guide on a daily basis. Clinicians, residents, or fellows in pediatrics will also appreciate its brevity and up-to-date coverage.